Pros: Lighting, sound and set combine to magical effect in this mesmeric and beautiful production. Cons: Signposting of locations wasn’t ideal for the intended audience. According to the show’s website wild fish could be history by 2048. We are overfishing our oceans and it’s becoming a problem – a big one. Tucked In have chosen to tackle this issue by raising awareness among children. The story concerns a young girl, who is not particularly interested in her father’s fish nursery, until she falls into a stream in pursuit of a dropped crisp packet. She meets a salmon named Leaper and they go on a journey, wherein she experiences the perils faced by wild fish, including fishing and litter. The show is visually stunning with puppetry, set design and, in particular, lighting used to tremendous effect. When I attended the young audience was entranced by the changing scenes, which successfully evoked both the sea and river in imaginative ways. A piece of rippling plastic with perfectly matched lighting especially delighted my young guest. There is a lot to look at but it never feels overcrowded. It can be a hard balance to strike, especially when trying to keep the attention of a younger audience, but Tucked In pulled it off. I had a small quibble with the signposting of objects and locations. Most of the intended audience likely aren’t of reading age, and those who are will struggle. The locations are created so well that the signs seemed unnecessary, and actually rather distracting for those who were trying to decipher them. Sound is used exceptionally well; it weaves together the other aspects of the production seamlessly, transporting us to different places and complementing the action onstage perfectly. The song sung at the beginning and end is catchy and a neat way to bookend the show; however it didn’t quite fit with the rest of the piece. Initially I was in two minds about how well the show achieved its educational aims. 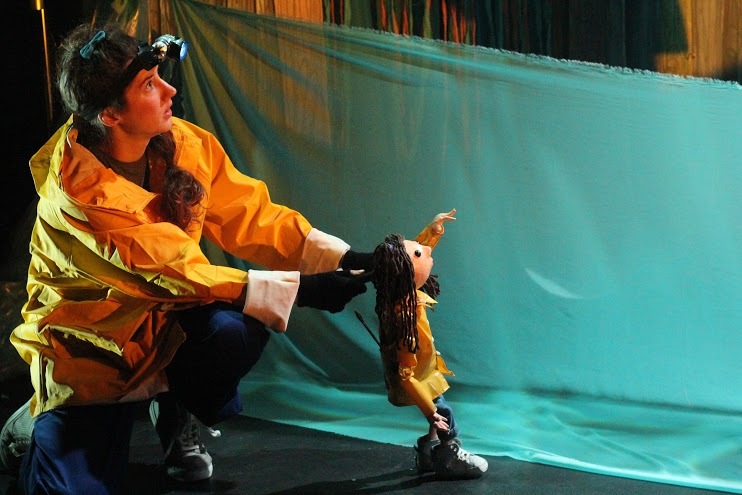 It is difficult to explain overfishing to young children, and the concept isn’t completely clear from this play. But that would have been a lot to ask, especially as the show is largely non-verbal. However it does introduce the problems caused by litter very well through an excellent carrier-bag creature. 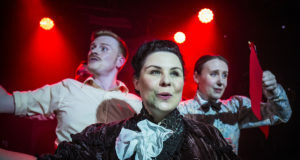 Overall, the success of the show lies in the fact that it plants questions in the minds of its audience – inquisitive young children (and, indeed, those who are also inquisitive but perhaps not-so-young!) – and therefore clear explanation isn’t necessary. 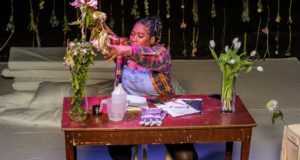 The show serves as an excellent springboard into understanding a range of environmental issues, whilst being accessible and entertaining. 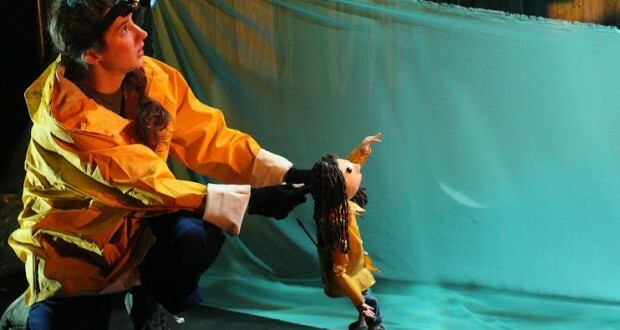 Leaper is an ambitious and intelligent piece of children’s theatre, and a treat for the eyes and ears. Well worth a watch for curious young people – and their grown-ups too!